Suede boots with stretch suede back strip. Leather lining. Leather and Vibram sole. Zip in the inner side. Heel measures 4 cm. Shaft 47 cm. Tight at the ankle. Made in Italy. Leather boots with stretch suede back strip. Leather lining. Vibram sole. Zip in the inner side. Heel measures 4 cm. Shaft 47 cm on the back and 50 cm ahead. Tight at the ankle. Made in Italy. Black nappa leather boots with back black stretch napa strip. Leather lining. Leather and Vibram sole. Heel measure 3.5 cm. Shaft 58 cm. . Pull on with half zip. Hand made. Made in Italy. Suede boots. Leather lining. Rubber sole. Zip in the inner side. Heel measures 3.5 cm. Shaft 40 cm. Made in Italy. Black leather boots. Heel height 3.5 cm. Shaft height 40. Leather lining. Rubber sole. Hand made in Italy. Black leather boots. Heel height 3.5 cm. Shaft height 44. Side zip at half leg. Leather lining. Rubber sole. Hand made in Italy. Black tumbled leather boot with back black elastic band. Leather and Vibram sole. Side zip. Heel measure 3 cm. Shaft 42 cm. Tight . Made in Italy. Hand Made. 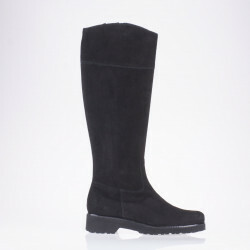 Suede boots with stretch napa back band.Leather lining. Leather and Vibram sole. Heel height 6 cm, shaft 38 cm. Made in Italy. Hand made. 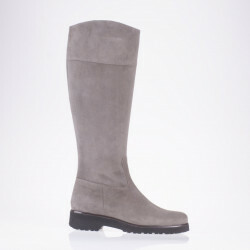 Calf leather boot. Heel heights is 8 cm. Shaft heights is 43 cm. Leather lining. Leather and rubber sole.Made in Italy. Suede boot. Heel heights is 8 cm. Shaft heights is 43 cm. Leather lining. Leather and rubber sole.Made in Italy. Stretch napa boot. Leather and Vibram sole. Side zip half leg. Heel measure 3 cm. Shaft 53 cm. Tight . Made in Italy. Hand Made. Leather boots. Leather lining. Leather and rubber sole. Heel heights 11 cm, platform 4 cm. Shaft heights 38 cm. Made in Italy. Calf leather boot. Heel heights is 9 cm. Shaft heights is 34 cm. Leather lining. Leather and rubber sole.Made in Italy. 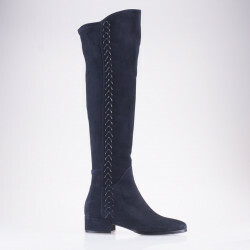 Mid calf suede boot. Heel heights is 8 cm. Shaft heights is cm. Leather lining. Leather and rubber sole.Made in Italy.